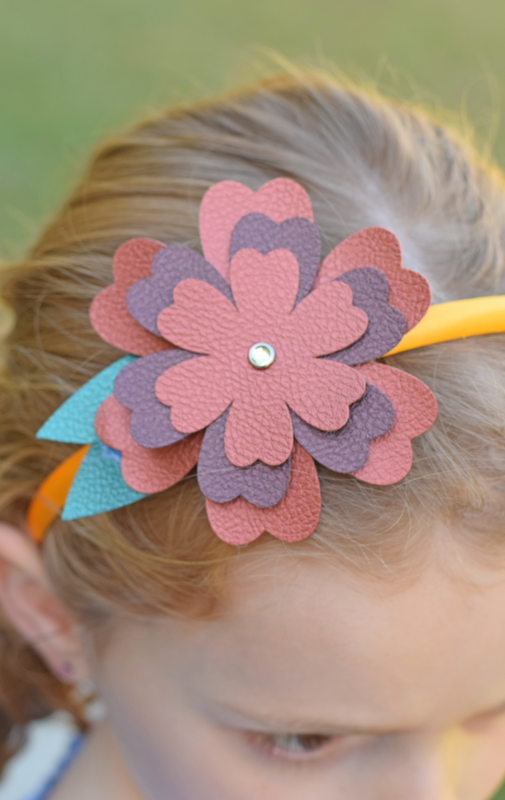 This Faux Leather Flower Headband tutorial is beginner level project that yields professional looking results! This post contains affiliate links which, when purchased through, add no extra cost to the consumer, but help support this site with a small commission. 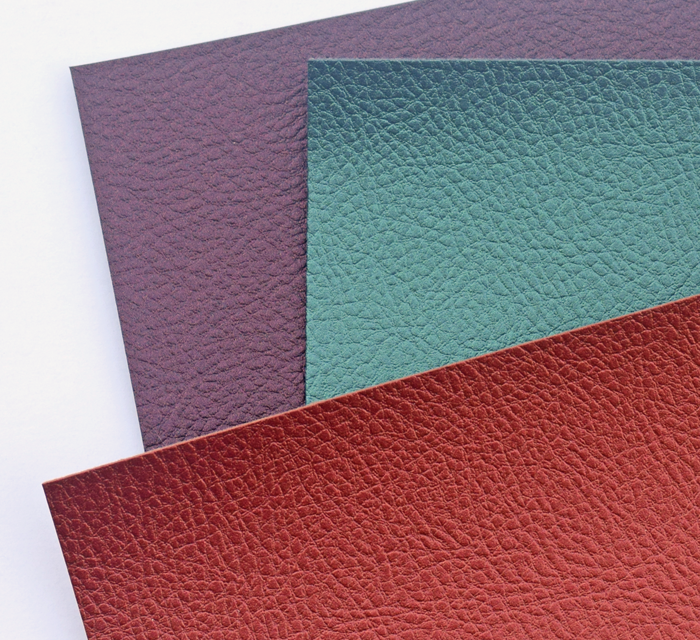 The Cricut Faux Leather is my new favorite crafting material. I love the look, the feel, the colors, and how easy that it is to use. 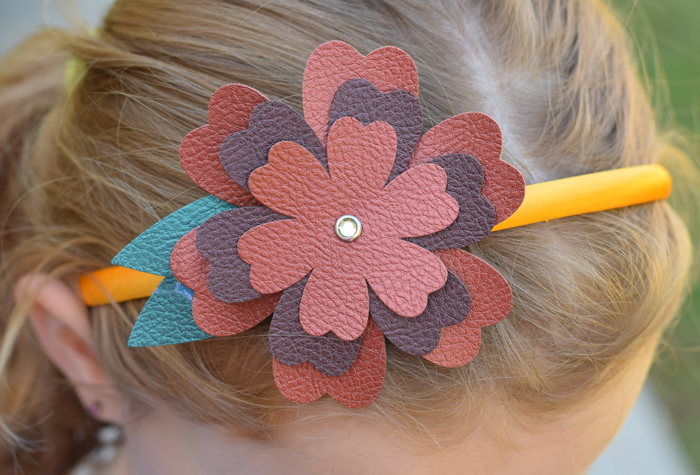 I used it in last week’s DIY Faux Leather Jewelry post, but this week I’m whipping up a Faux Leather Flower Headband for my girl. 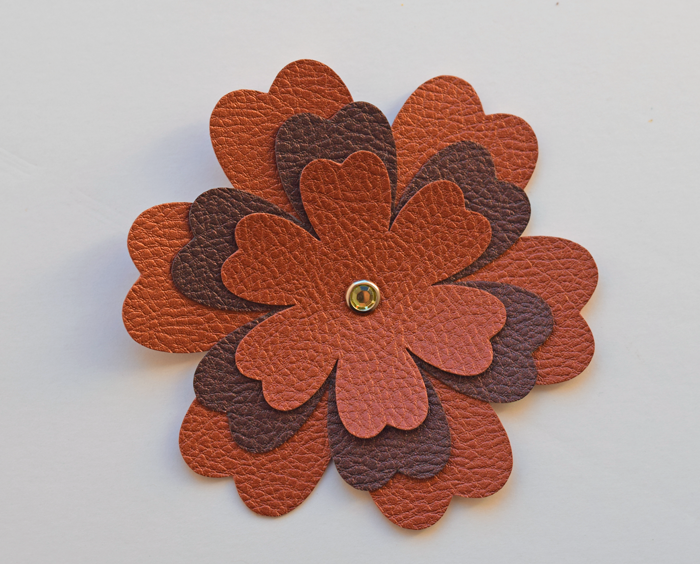 Click here to see my Cricut Design Space Canvas and to use the cut file to cut 3 flowers and 2 petal pieces from the faux leather. 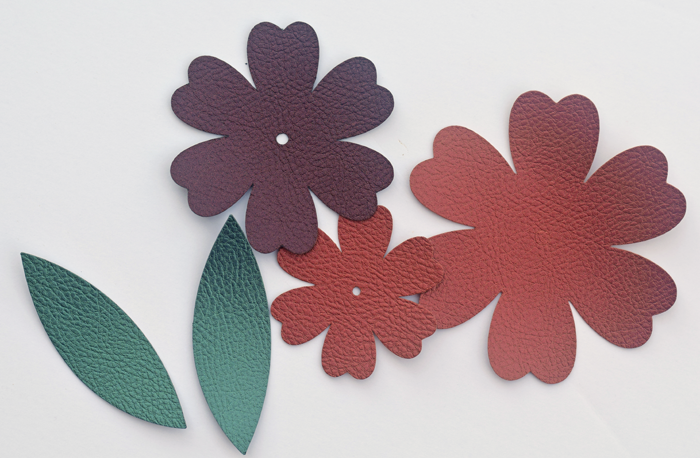 If you want to create your own and use another flower shape, just keep in mind that the 3 flower pieces should be different sizes. Put the 3 flower pieces together and secure them with the jeweled brad. You do not need to hot glue them at this point. 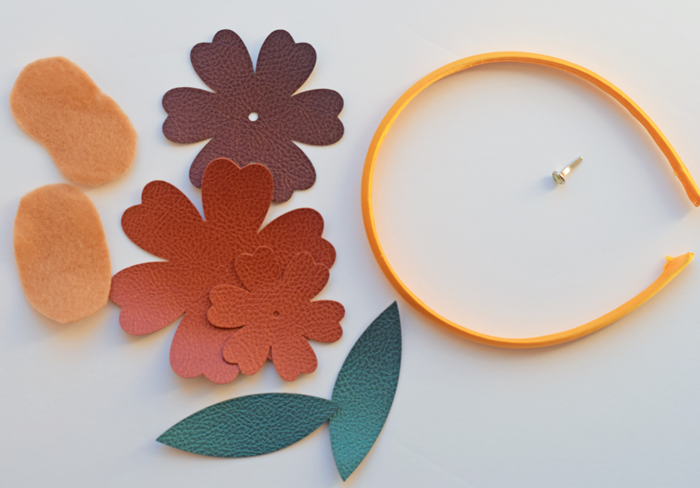 There are plenty of opportunities for hot glue in the next few steps, and the flower pieces will be well secured. Hot glue the petal pieces to the back of the flower. 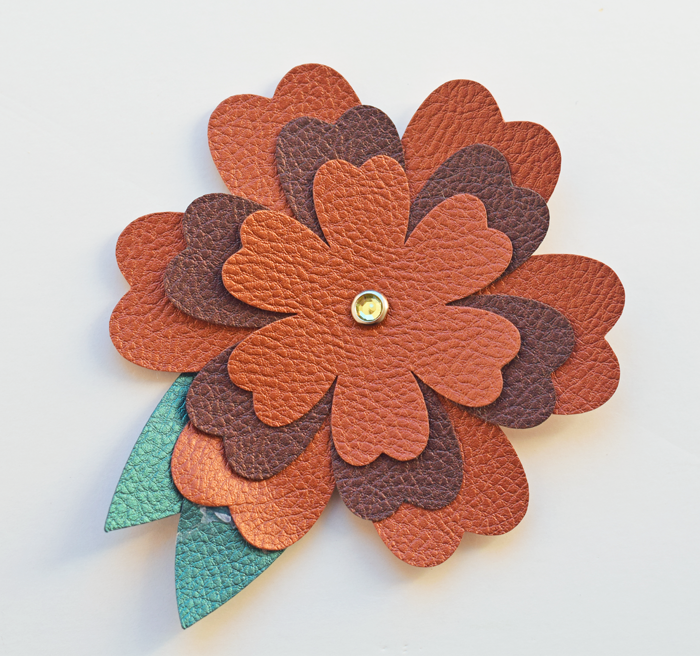 Hot glue a felt scrap oval to the back of the flower with the petals. 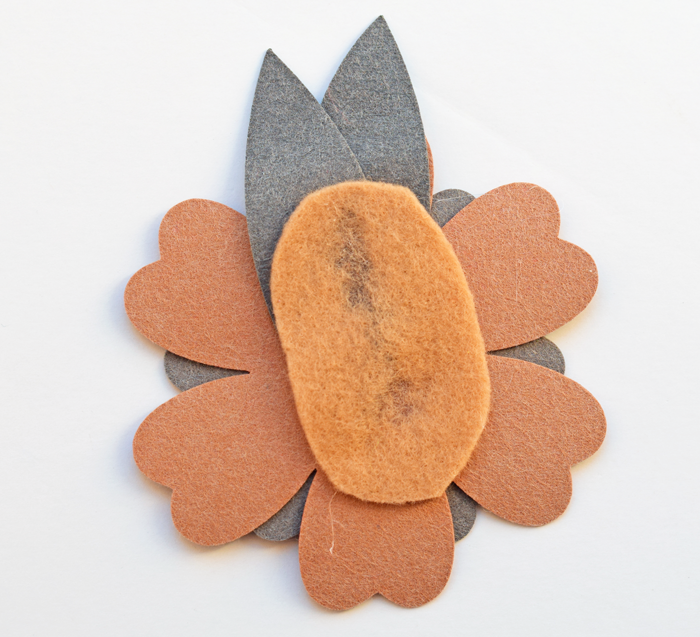 The felt scrap should be a tad smaller than the flower so that it does not show underneath. 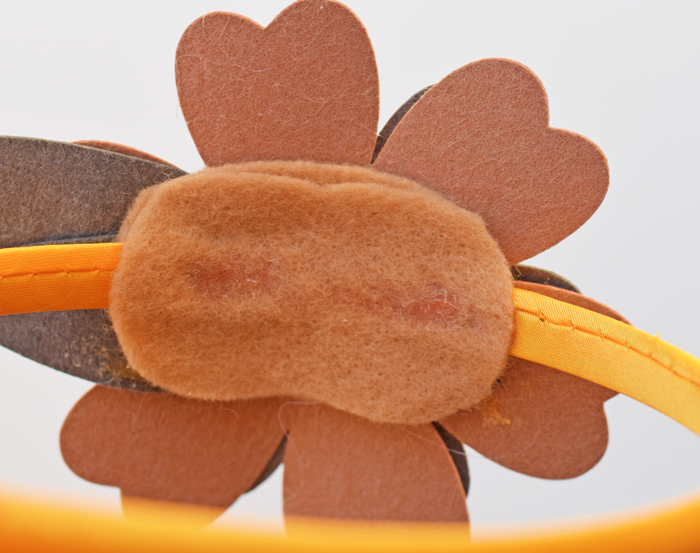 Continue using the hot glue to glue the flower to the headband, gluing another felt piece underneath the headband to sandwich the headband between the felt pieces. My daughter has already asked me to make her more of these adorable headbands. How can I refuse when they are so easy? 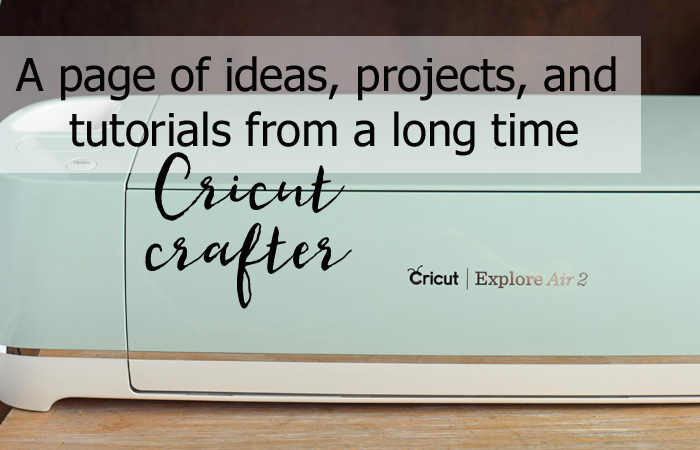 Are you looking for more Cricut related tips and tutorials? 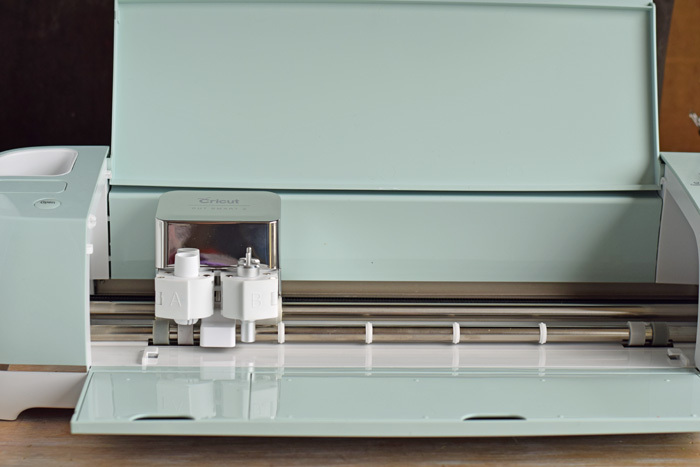 Check out my Cricut project page! I love this! Absolutely adorable and it would make the cutest gift!